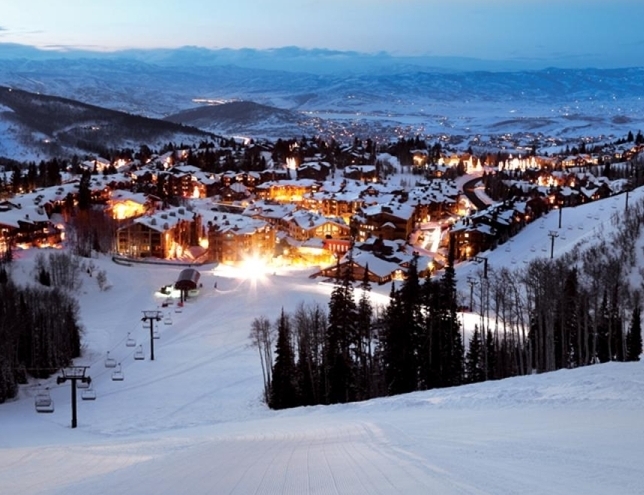 Upper Deer Valley is located mid-mountain on Deer Valley Resort®. This area is really unique because it is mid-mountain, offers a lot of true ski in ski out properties. Upper Deer Valley is also referred to as "Silver Lake", is roughly between 6,900 and 8,100 feet in elevation. The Upper Deer Valley area is a true community, has the Silver Lake Village where you can shop and dine! The Silver Lake area includes roughly 6-8 restaurants, many shops, several Spa's-including the famous Stein Eriksen Lodge Spa!! If you need more, Historic Main Street is just a short drive. The Silver Lake Lodge resides in the Upper Deer Valley area which is Deer Valley Resort's mid-mountain ski lodge. It is also home to the legendary McHenry's Ski Beach. Here you can sit on the snow in lounge chairs in the sun, have a beverage of choice. Its common to see loads of people hanging out here on nice days! The Upper Deer Valley area is homes to MANY high end homes & condos including the famous Bald Eagle Club & Stein Eriksen Lodge. Most of these properties are true ski in ski out condos or ski in ski out homes in Deer Valley. Prices here are more expensive than the Lower Deer Valley area. Some of the more favorite complexes in Upper Deer Valley include: Stag Lodge, The Chateaux, Stein Eriksen Lodge, Stein Eriksen Residences.